Produced as an assembled unit from September 1995 to 2003, with the attachments in small kits. 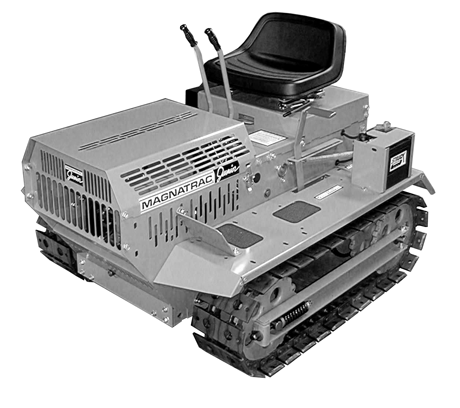 The MD567 or affectionately called “MAGNATRAC JUNIOR” used a 14 hp. or 15 hp. Kohler gas engine to power it’s belt clutch transmission and dual track chain, kept the price down and gave customers an affordable option with limited attachments. Large assembly manual available. Limited wearing parts such as: replacement tracks, etc.